Samy's DV & Edit - Big News from Sony Pro! Home > News > Big News from Sony Pro! Big News from Sony Pro! New Cameras and Bundles for Pro Shooters of all kinds. The PMW-F5 gave narrative filmmakers 4K RAW at an unheard-of price point. For documentarians who want a film that stands out with a truly cinematic look, their camera is ready. The PMW-F5 “What’s Up Doc?” package is the rig that will make your movie shine. When everyone is making a doc (and everyone is), pro footage will separate the professionals from the guy with little more than a prosumer camera and an idea. As non-fiction films gain traction in the marketplace, theatrical and television distributors are considering the quality of the footage more and more, not wanting to dilute their brand with amateur productions, no matter how compelling the content. The PMW-F5 Doc Package contains EF, PL, and B4 Lens Mounts to allow you to take advantage of the largest selection of broadcast, DSLR, and cinema lenses available. Complete with your choice of an LCD or OLEDViewfinder, shoulder mount, hard case and other accessories, the F5 Doc Package is ready for your production, be it a guerilla shoot or a fully-funded broadcast segment. 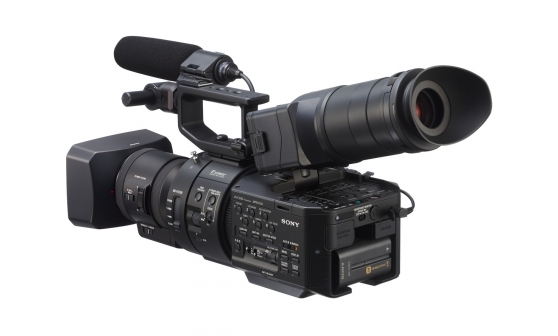 From the start, the FS700 was designed to be upgradable, ultimately with the plan of making it a 4K camera. Those who purchased it before today could send their camera to Sony and, for a fee, have the 4K capability installed. Now 4K is native to the new models. 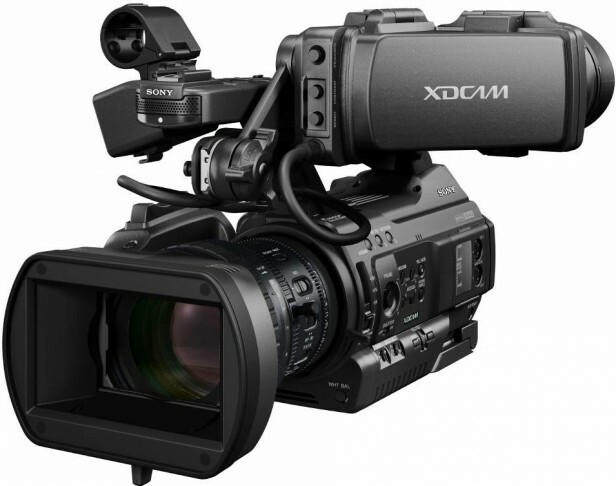 The FS700R and FS700RH are 4K ready, no installation necesssary. The 700RH now comes with a servo-zoom lens, better for run and gun shooters. Get 4K RAW or Uncompressedtoday with a qualifying recorder. Sony even introduced an FS700 Bundle pre-configured for those who want to shoot RAW 4K. Of course, even without 4K, you’ll be getting one of the best HD Cinema Cameras on the market for under $10k. What’s more, enjoy Super SloMo at speeds of up to 960fps! Call Samy’s DV for details. For those who love their EX3 but need a camera that meets current broadcast standards, Sony has released the newest interchangeable-lenscamera in its XDCAM line. The PMW300 records full-raster HD at 50mbps 4:2:2 quality. Here it is, the broadcast camera that production companies and TV Stations have been waiting for. Finally, they can use all those greatbroadcast lenses that have been sitting around. ​Samy's DV & Edit is on Facebook and Twitter! Keep up with all the latest news in Digital Cinema on Samy's DV & Edit's Facebook Page or by following us on Twitter @SamysDV! Contact Samy's DV today at 310-450-4365! Samy’s DV & Edit is the one stop source for Digital Cinema, Broadcast, Educational, Industrial, Corporate and Event Videography. We carry a full range of pro high definition video, audio, lighting and grip equipment. Digital Cinema is our specialty.